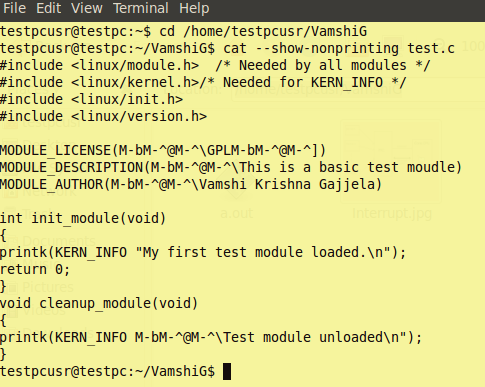 Linux Kernel Programming: How to Remove Non-Printing characters in Linux ? Here I will show you how does these non-printing characters creep into your document, how to view them and how to remove them. 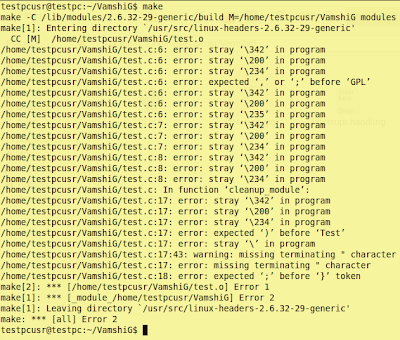 For example: you copy this peace of code below, a simple kernel module and try to compile it with the Makefile and if you really want to prove your self try even to remove those compilation errors...! after compilation you will end up with stray errors like this, shown in the below image, and these stray errors are because of non printing characters. Now the source code is redirected to the new file "new_test.c" which is free from non-printing characters. 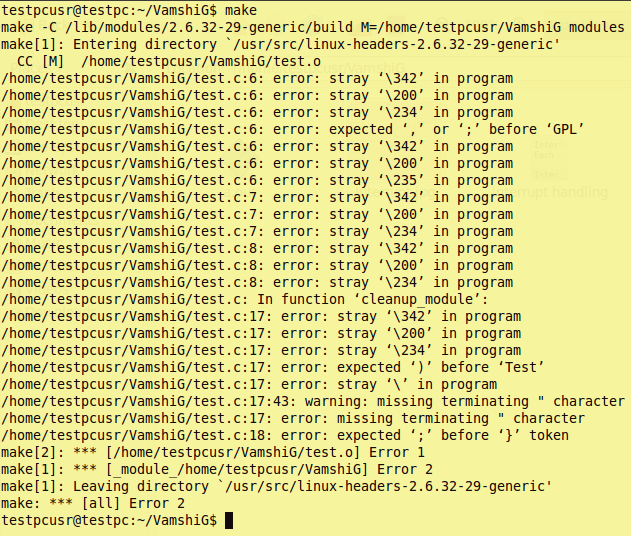 Note: Hey this may even remove the double quotes so go through for any such errors in your new_test.c .